Popularly referred to as the ‘Prince of Poker’, Scotty Nguyen is one of the all-times most successful professional poker players in the world. Not only that, he is also one of the most famous in the industry. 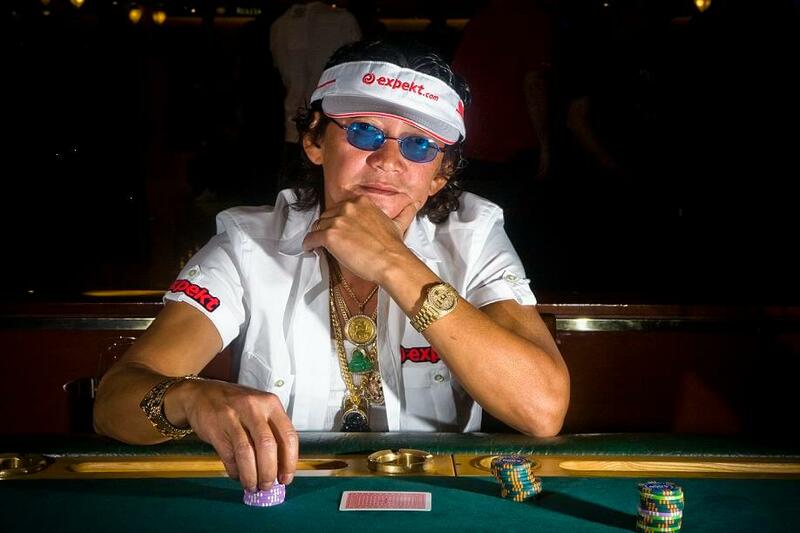 The fifty five years old Scotty has earned five different World Series of Poker (WSOP) bracelets and he is also the only poker player to have ever won both the $50,000 Player’s Championship event and the Main Event. Emerging from a humble beginning, Scotty Nguyen net worth and poker career are worth exploring. In this article, we will be looking at the early life, poker career, net worth, personal life, and career highlights of this poker guru. Scotty Nguyen is a Vietnamese American poker player who is famous for his various winnings at poker events. The eldest of 13 children, Scotty was born on the 28th of October, 1962 in NhaTrang as Thuan Nguyen at the period of the Vietnam War. From a tender age, he had made up his mind not stay long in the war torn country. It wasn’t a surprise therefore that he jumped at the opportunity when his mother asked him to go to Taiwan. He left for Taiwan at the age of 11 and between this age and till he became 13, he spend most of his time engaging in manual labor so he could save enough money to move to America. He enrolled in school but he didn’t stay long as he was expelled due to the fact that he wasn’t doing well at school. For Nguyen, making money from underground poker games was more important than spending hours gazing at books anyway, so he didn’t think much about his expulsion from school. When he reached the age of fourteen, he got a family in America that gave him a foster home. His foster family was called a sponsor family because the plan was for them to take care of him to the point where he could take care of himself before releasing him. His foster family resided in Chicago, USA. However, as soon as Scotty got to Chicago, he knew that the city would be too cold a place for him to live. It wasn’t long that he started looking for another sponsor family in a part of the country that has a warmer climate. He finally got a foster family in Orange County, California and he moved in with them. When he arrived in his foster home, he was enrolled in school but after a few days in school, he charted a course for himself; a course that took him to where he is today. While in school, Nguyen began to learn how to play poker and he developed a passion for this game to the point where he lost interest in anything academics. Instead of staying in class and studying, Scotty would be found in an empty room or in the back of his classroom playing poker games with his schoolmates. He faced constant reprimands and suspensions from the school, and when the principal discovered that he was not ready to change, he kicked him out of school. From the time Nguyen started playing poker, his sight was set on Las Vegas. Since he has been kicked out of school and his sponsor family released him to go wherever he want, he picked his bag and went to Las Vegas where he got a job waiting tables at Harrah’s Casino, Las Vegas. When he arrived in Las Vegas, he discovered that his beautiful dream of the city is not materializing but he consoled himself with the fact that he is in the city where he wanted to be the most. He became ‘Scotty’ at this time due to the fact that his boss couldn’t pronounce his first name and he gave him a new name. While working at Harrah’s Casino, Scotty was given an opportunity to start dealing in poker. Apart from dealing in poker, he was also heavily involved in playing the game and most times, he gambled all his income. According to Nguyen himself, he was a ‘fish’ at this period of his life. Although he was losing his incomes at games, he still kept at it. He enrolled in a dealer school and graduated at the age of twenty one. After leaving dealer school, he was given a job at Harrah’s poker room where he made a $150 USD per night and lost almost all of it gambling at $3-$6 stud. While dealing cards, he started watching the game patterns of players that he was dealing cards to. After saving enough money, he began to participate in smaller buy-in tournaments. Of course, just like any other professional poker player, he made some loses along the way and had to go back to his dealing jobs to earn more money in order to play at other tournaments. He started sitting at poker tables to play games for real money. In 1985, Scotty Nguyen net worth began to take shape as his luck significantly improved. He was given an invitation to Lake Tahoe to take part in a No Limit Hold’ Em tournament. At this tournament, he dealt all through the day and engaged in cash games all through the night with the little bankroll he came with. His meager bankroll grew to $7,000 at the end of the game and his poker game took a great turn. Between 1991 and 1994, he had placed in ten tournaments with a buy-in of $300 or lower. It is essential to mention that right from his early poker career, Scotty Nguyen has shown proficiency and professionalism at different types of poker games. Among the ten tournaments he placed at during this time were Pot Limit Em, Limit Hold’ Em, Omaha, Seven Card Study Hi/Lo, No Limit Hold’ Em, and Omaha Hi/Lo. Even though he was only able to earn about $65,000 USD in these ten tournaments, he garnered a lot of experience that was worth more than money. This experience later translated into big wins for him which naturally increased Scotty Nguyen net worth significantly. After his various wins at low buy-in games, he decided to take it a notch higher and he began to play in big leagues. When he started participating in World Series of Poker, he made his first 36 cashes in the $2,500 Limit Hold’Em event during the 1995 WSOP event. He placed at the 13th position, and earned a total of $4,650. 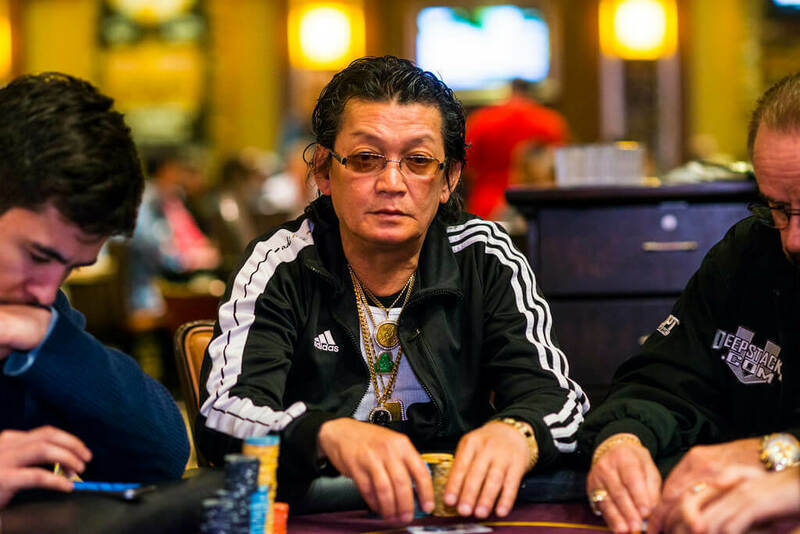 He returned to Las Vegas after the game and continued to gambled, within a short period of time, Scotty Nguyen net worth reached $1 million USD. As soon as he hit this figure, his name and gaming style began to spread all around Las Vegas. Not long after this, he started playing poker with Puggy Pearson, David Grey, and Johnny Chan. After his big win, he bought a Corvette for $21,000, a Chevrolet Camaro for $17,000, and a tidy condominium for $60,000. He paid for all these in cash. He moved to Caesars Palace and started playing poker games in the big league and was winning about $50,000 USD to $900,000 USD a night. Over the course of his professional poker career, he had won World Series of Poker bracelet five times. He also won the Main Event of the 1998 World Series of Poker as well as the 2008 World Series of Poker $50,000 USD H.O.R.S.E World Championship. Scotty is the first and only player to have won both the World Series of Poker Main Event and the $50,000 Player’s Championship. Nguyen started using recreational drugs such as cocaine, marijuana, and alcohol, all of which have developed into a full scale addiction for him. At some point in his career, he made huge loses which greatly affected Scotty Nguyen net worth. After his loss, he was only left with $5,000 in cash and a spared room. In spite of his loss, he didn’t give up on poker. He kept playing at games. Of course, it wasn’t easy for him because even though he was winning some, he was losing it. After losing his $1 million bankroll, Scotty had to rebuild it in order to continue playing at tables. In 1997, luck smiled upon him again. During the World Series of Poker of that year, he won at the $2,000 Omaha 8 or Better tournament event and earned a total of $150,000. However, he blew the bankroll not long after and became broke before the next World Series of Poker in 1998. Because he couldn’t play for higher stakes, he had to struggle to play in small satellite tournament and he could not even afford it. Later on, Mike Matusow discovered that Nguyen has some potentials and he decided to bankroll one-third of his buy-in. Scotty is known to be very emotional at poker tables. At the 1998 World Series of Poker, Mike Matusow bankrolled Scotty with one-third of the buy-in and he won at the game. He later went on to split his winnings and gave $333,333 to Matusow for his investment. During the final hand of the WSOP Main Event, Scotty Nguyen beat his opponent, McBride hands down with a better full house. He won at the event and became the bearer of the 1998 WSOP Championship bracelet. Unfortunately, tragedy struck in Nguyen’s family which dimed his victory at the WSOP. The next day after his win, his brother was hit by a car in Vietnam and died. Scotty could not wear his bracelet after the event because of this tragedy and in honor of his brother. After the 1998 tournament, Scotty Nguyen made it to several WPT (World Poker Tour) final tables and finally at the 2006 WPT event, he won by defeating Michael Mizrachi at the heads-up during the fourth season of Gold Strike World Poker Opening. With this new victory, Nguyen became one of the six players to have ever one both the main event of the WSOP and WPT titles. He earned a 2nd place finish during the 2007 World Series of Poker at the 7-card Stud Hugh Low Split 8 or Better event. He came in the second place after Eli Elezra. Nguyen mentioned that after this event, he had not played any cash games in more than two years simply because he prefers a friendly environment when playing and this is not possible in serious cash game of tournaments. In the 2007 World Series of Poker Main Event, he almost made it to the final table but he finished in eleventh place out of the 6,358 other players. He made a total of $476,926 as earning during this game. At the $50,000 WSOP H.O.R.S.E event of 2008, Scotty displayed what a number of people believed to be obnoxious and a rule-breaking attitude. Nguyen was reported to have drunk many alcoholic drinks while scolding and swearing at others at the final table, including the waiters and waitresses. His behavior elicited huge criticism from fans and commentators. At the end of the event, which he won, he tendered his apology to his fans stating that the event was edited to show him unfairly. He also tried to excuse himself for his behavior on the premise of frustration, and exhaustion which was ignited by the alleged reveling of Michael DeMichele as well as the pressure to win at the event. Of course, everyone saw through the lame excuse and came for him on social media. He later formally apologized during an interview stating that he knew he was responsible for his actions and could not blame any player for he did and that he had no excuse for his disgusting behavior at the H.O.R.S.E event of 2008. Scotty Nguyen won the inaugural LA Poker Classic of 2009 at the $10,000 H.O.R.S.E World Championship which took place at the Commerce Casino’s annual LA Poker Classic Series. He netted a total of $339,743 at the event and this significantly increased Scotty Nguyen net worth as well as highlighted his repute as one of the best masters of all fixed limit poker variations. By 2015, Scotty Nguyen net worth in terms of total live tournament winnings had exceeded $11,700,000. Out of these winnings, $5,100,999 was from World Series of Poker. Scotty has also appeared in a variety of poker TV series, including Ultimate Blackjack Tour where he played Elimination Blackjack. He also appeared on the Late Night with Conan O’Brien sometimes in April of 2004. In 2012, Scotty was named the team captain of Expekt Poker Pro Team for European Poker Tour (EPT) Deauville. Other professional poker players in this team include Jack Salter, Julian Kabitzke, and Andre Klebanov, the EPT London Third-Place finisher. After his $1 million winning of 1985, Scotty began to paint the town red, living high at Caesar’s Palace, Las Vegas and he began to pay in higher stakes cash games. He made a lot of earnings during this period but he blew everything away with his gambling and extravagant lifestyle. He started using recreational drugs and alcohol which greatly impacted his performance at poker tables as well as his ability to manage his bankroll. Not long after this, he went broke again. After his loses, he came back to his senses and decided to build his bankroll again. He was regularly frequenting Las Vegas tournament circuit all through the 90s. In the month of September, 1995, he won two different tournaments; $1,000 Omaha/8 and $500 Limit Hold’ Em which earned him a combined sum of $102,400. About three years later, he won the five biggest cashes of his poker career. At the 1997 World Series of Poker, Scotty won the $2,000 Limit Omaha/8 Event and took away a total of $156,950. This was the biggest cash that he has ever won so far since he started his career in poker games. Before the 1998 World Series of Poker, Nguyen had gone broke which made it impossible for him to be part of the Main Event of the tournament at the start. As a matter of fact, he wasn’t able to afford the small buy-in satellite event. Thanks to Mike Matusow, another professional poker player, who paid the one-third of Scotty’s buy-in. For Matusow and Nguyen, it was a great investment because he won the satellite event and also won the Main Event and walked away with $1 million USD. He gave Matusow $333,333 (one-third of his earning). At the Main Event, Nguyen was affable, drinking cold beer and chatting with other players at the table all through the final table. The event was broadcasted on ESPN and poker fans enjoyed his games immensely. During the final hand of the game, Scotty came up with his famous quote when he told his opponent, ‘You call, it’s gonna be all over baby’. This drew laughter from the fans. Just as he requested, his opponent made the call, playing full house on board but with Nguyen’s Jd 9c for 9-full, he won the tournament event gallantly and walked away with a tidy sum. It is believed that this final table performance was what made him the favorite of many poker fans. Unfortunately, Scotty was not able to enjoy his victory because the following day, he lost one of his brothers to a car accident. He chose not to wear his bracelet after this incident to honor the memory of his dear brother. In 2006, he went on to win his first World Poker Tour event at the 4th season Gold Strike tournament. In 2007, during the World Series of Poker Seven Card Study Hi-Lo Split 8 or Better event, Scotty finished in the second place and also finished in eleventh place at the Main Event. He earned a total of $480,000 at the end of the event. Scotty’s performance at the 2008 Chip Reese Memorial $50,000 event was heavily criticized by poker fans and commentator. All through the event, Nguyen was drinking, scolding and swearing at the table. At some point, he was berating his opponent, Michael DeMichelle, to the point that other players felt disgusted at his behavior. He eventually won the game but he lost the respect of many poker fans. He later apologized for his unruly behavior stating that he felt frustrated and unsure of the outcome of the game which pushed him over the edge and made him to behave the way he did. Many people felt Scotty was unnecessarily harsh and agitated about the outcome of the game because he was broke at this time. Although this was a rumor but his desperate behavior at the game really fueled the rumor. He also entered for several events during the 2018 World Series of Poker where his best finish was 3rd place at the $25,000 Pot Limit Omaha High Roller tournament event. He netted a total of $592,875 at the end of the event. Over the course of his poker career, Nguyen has won five World Series of Poker bracelets and forty six money finishes. He also won World Poker Tour championship event and made earnings at seven other WPT final poker tables. Scotty’s total live tournament earning up to date is about $12.6 million USD. He is currently in the 42nd position on the All Time Money List of poker players. Scotty Nguyen net worth was not only from his live tournament earnings. He also earned some great money from various investments and endorsement deals he has taken over the years. He has been engaged with Activision, World Poker Tour, World Series of Poker, and World Poker Tour Boot Camp. He has also been involved in the promotion of regional casinos as well as the promotion of some smaller organizations. Scotty has also appeared in the commercial of Diet Pepsi and he was also a guest at Conan O’Brien show. He got featured in The Big Blind, a 1999 poker movie. Scotty Nguyen has also shown interest in writing. In actual fact, he has written a couple of books on Poker among which is ‘That’s Poker Baby! Volume 1’ This book detailed Nguyen’s playing strategy. He also detailed the mentality that is required to evolve from a mere poker player to a champion and professional poker player. Since his official debut in the poker world, Scotty has continued to grow his net worth steadily. Although he came from a humble background, Scotty grew his wealth from the scratch and became one of the top professional poker players the world has ever known. Of course, at some point, he lost everything but with determination and grit, he has been able to recoup his lost bankroll. Currently, Scotty Nguyen net worth is estimated to be around $11 million USD. He is regarded as one of the top players in the poker community and his live tournaments winnings are great indication of his level of proficiency in the game. Scotty is a friendly and fun loving man. He is married with children. He currently resides with his wife and children in Caesar’s Palace, Las Vegas. The Nguyen family has three exotic pets: a Savannah cat, a Serval, and a Kinkajou monkey. Scotty has not been in the poker spotlight for a couple of years and there have been rumors surrounding his absence. Many believed that he no longer has the bankroll to play in high stake poker and some opine that he is just done with playing poker. Whatever the reason for his absence from the poker scene, one thing is very certain; he is not broke and Scotty Nguyen net worth is a testament to this fact. Scotty Nguyen is one of the all-time most successful professional poker players in the world of poker. He is also a popular figure in the industry. Although he came from a humble background, he rose to become a force to be reckoned with in the poker community. He started by playing at small stakes and later moved to high stakes. In the course of his professional poker career, Nguyen had won a total of five WSOP bracelets with a lot of earnings. Scotty Nguyen net worth has steadily grown over the course of the year. Many believed that even if he doesn’t play poker anymore for the rest of his life, he cannot be broke. Well, since he has not officially said his goodbyes to the poker community, we cannot conclude that Nguyen is out of poker world for good. It won’t be surprising to see his return in the near future.